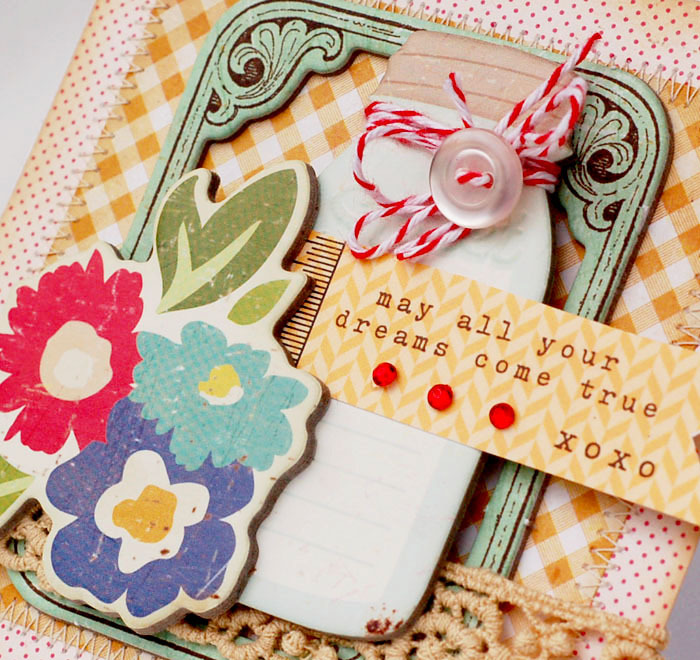 Bits and Pieces...: GDT and a Giveaway! Hi! Happy Hump Day! This week is flying by. I'm loving all of the gorgeous weather. I'm wearing shorts as I type this! We even have daffodils. I'm hoping that Spring is here to stay. So, lots of fun things going on today! 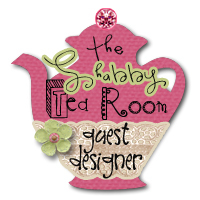 First, I'm excited to be the Guest Designer over at the Shabby Tea Room. They are celebrating their second anniversary this week with LOADS of prizes. Stop on over and check out the challenge. My card has lots of Crate Paper Heart on it. I'm still loving this line. It's so versatile. I used an Elle's studio tag for the sentiment. That's it for today. Thanks so much for stopping by and have a great day! What a pretty card! I love it! What a beautiful card! And congrats on the GDT! What a pretty pretty card! Do you ever make anything ugly? lol! :D I LOVE that mason jar, can't wait to get my hands on one/some! That is such an amazing card! Just love your style! Congrats on the GDT spot! Anabelle, you have such a way with design. The colour combo here is a favourite of mine and the layers are inspired! Love your work! 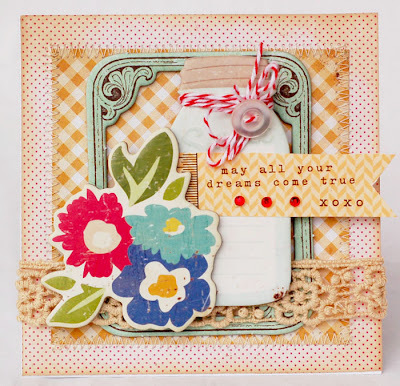 As always, this card is beautiful and full of inspiration!